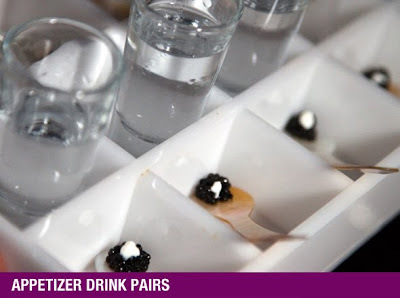 Now this is my kind of way to get a party started – appetizer shots. Today in the Colin Cowie newsletter, he featured the trend of appetizer shots. While Colin refers to giving gests these shots as they make their way to the reception room, I think they would make the perfect door greeter at any at home party. I mean what a way to set the tone at any party! · Jello Shots – DONE in a tasteful way! · And of course, TEQUILA! There are so many shot recipes that could work, but these were just a few that I thought were event appropriate. Save the rest for a kegger. Oh and seriously – body shots are never acceptable outside of Cancun.